Nel nuovo album di June Tabor, Ashore, tra i migliori della sua lunga produzione, tutti i brani hanno come tema il mare. C'è anche una bella Shipbuilding, il classico di Clive Langer ed Elvis Costello reso celebre per primo da Robert Wyatt nel 1982. 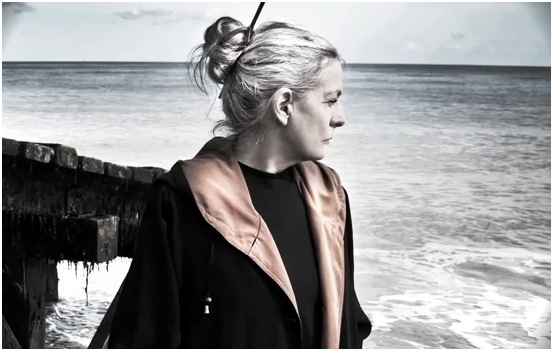 Ashore is the first recording that June Tabor has focused entirely on maritime themes. The album has its genesis in the concert that Tabor performed for Topic Records’ seventieth anniversary in 2009, and as such it’s a record that gestures backwards and forwards in her body of work, revisiting some older material from a new perspective while also producing something that feels entirely vital and fresh. Spanning centuries, the selected songs transport the listener from the Caribbean to the Shetland Islands, from the mid-Atlantic to the Plymouth docks. The result is a richly atmospheric, beautifully sequenced and, indeed, immersive experience from an artist who continues to go from strength to strength.